If you could find the magic pill to create a powerful, productive and amazing year ahead… would you take it? But before we go there… I wonder how this year turned out for you? If we were to focus on your career just for a moment, are you satisfied with what you achieved, what you contributed and the impact you had? As I speak with each of my clients to round out the year, I’ve been reminded by how easy it is to forget how much we have achieved. We race through the year from one project to the next, rarely celebrating the accomplishments along the way. Then there are those that focus only on the 2% of what’s not going to plan rather than the 98% that is. You may have done and achieved some great things but you ignore those in favour of being overly critical and beating yourself up, leaving you feeling deflated and defeated. Crazy… I know. But I bet you can relate? I know I have been guilty of this more than once this year. So I may not have the magic pill. I may not be able to predict or script out the perfect year for you…. But… what I do have is a simple 3 step process that will set you up for a powerful, productive and exciting year ahead. It takes no more than 10 minutes and although it’s super simple it’s incredibly powerful. 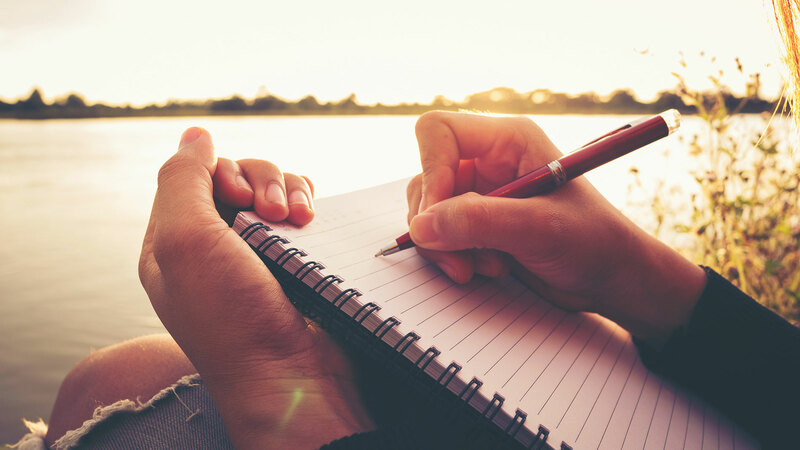 Pull out a note pad and pen, settle in with a cuppa and take a little time for reflection on the year that was. And yes, writing it down is way more powerful that just thinking through the questions. 1. What did I do, create or experience this year that I’m really proud of? Everything is moving so fast these days that we rarely stop to digest and acknowledge what we have achieved. It’s only when we start to look back that we can truly recognise how far we have come. What did you make happen this year? Look back through your calendar and note down the big wins, where you had impact, what you had influence over. Think about what you did for the first time and how you have grown. Recognise how you have supported projects or specific people. Don’t just look at the big accomplishments… the little wins are equally as important. Celebrating your accomplishments is key to building your confidence. It drives progress and puts you in a vortex of high vibrational energy. It’s been scientifically proven that once you are in that place of positivity and energy, it pulls great results towards you. You become a magnate for bigger and better things… so let’s get you into that state! In short, we attract more of what we focus on, good or bad. That’s enough of a reason for me focus on my accomplishments! And as you recognise and celebrate each achievement, take note of how this win will positively impact your career. Anchor in the learning by writing down how it is important to you. 2. What mistakes did I make that taught me something? So this is about shinning a light on what didn’t go so well. It’s not about dwelling on the mistake but rather focusing in on what we can learn. This is about taking a more objective, big picture view of the mistake. From this vantage point you can more easily spot the lesson or the growth opportunity without beating yourself up or letting your ego get in the way. Ask yourself; what didn’t go so well? What opportunities did I let slip by? What do I want to do differently next year? How can I do better? How can I use my experiences of this year to grow? 3. What am I willing to let go of? Ok it’s time to de-clutter your days, your commitments and your mind. Let’s start by taking a look at what you committed to this year. Did those commitments serve and support you and take you closer to your goals? Or did they take you away from those things, activities or people that are most important to you? Give yourself permission to stop doing anything that no longer aligns with who you are and where you’re heading. If it doesn’t feel good, serve you or bring you joy, then let it go. What can you get out of… or just walk away from? Do you have any projects or goals that have been hanging around on your to do list that have been weighing you down for years? If they are no longer aligned with your future… let them go. And let’s also look at the emotional baggage that is getting in your way and holding you back from what you know you are capable of. It’s time to clear it out and let it go. Let’s let go of the belief that you are not good enough, old enough, smart enough, worthy enough to go after what you really want next year. If we want to create a powerful, productive and amazing year it’s up to us. Give yourself the best chance of creating an environment to give you exponential growth, remarkable experiences, meaningful connections and pinch-me moments this year. I know you’ve accomplished more than you give yourself credit for. Allow yourself to acknowledge this…feel it…and be proud. Take the learning’s from this year and decide what you will let go of. Let’s settle into reflection mode, get you plugged in and set up for a fabulous year ahead.